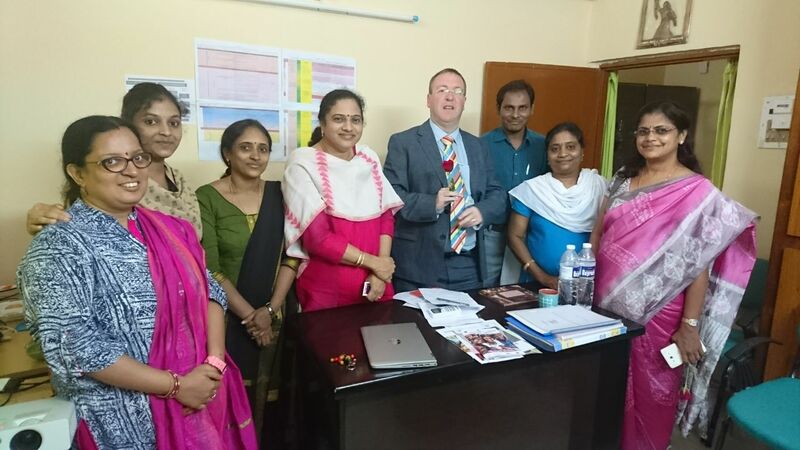 British High Commission, Hyderabad initiated a Project 'Reducing Vulnerability from Sexual Abuse and Trafficking among Children in Hyderabad'collaborating with Tharuni from July 2017. 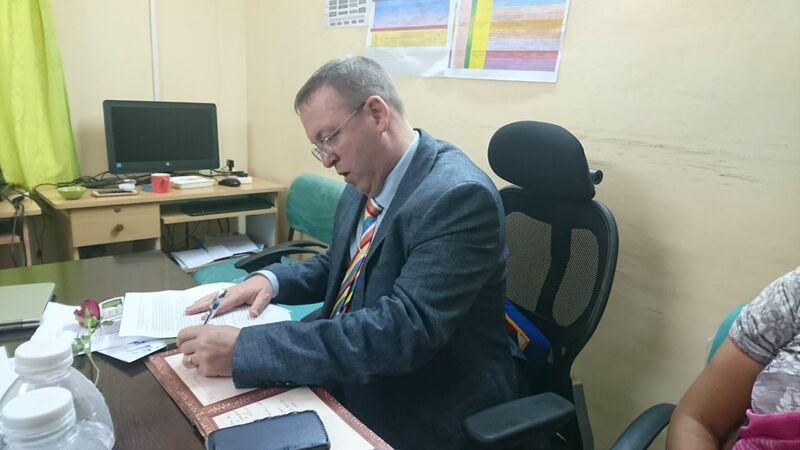 Tharuni identified 10 Schools, where child abuse cases were reported, after a Survey conducted.So it is preparing a Booklet to be circulated among Children, Teachers and Parents, to create awareness and how to safeguard, on the subject. 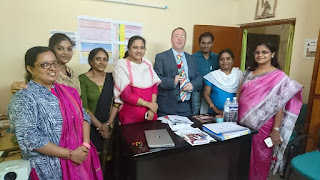 Deputy High Commissioner Mr. Andrew, visited Grace Model School,Karawan, along with British High Commission Staff and Tharuni Founder Dr. Mamatha Raghuveer Achanta,and coordinators. He also made a visit to the City Office of 'Tharuni' to understand the functioning of the Organisation, and also, meet its Team Members.